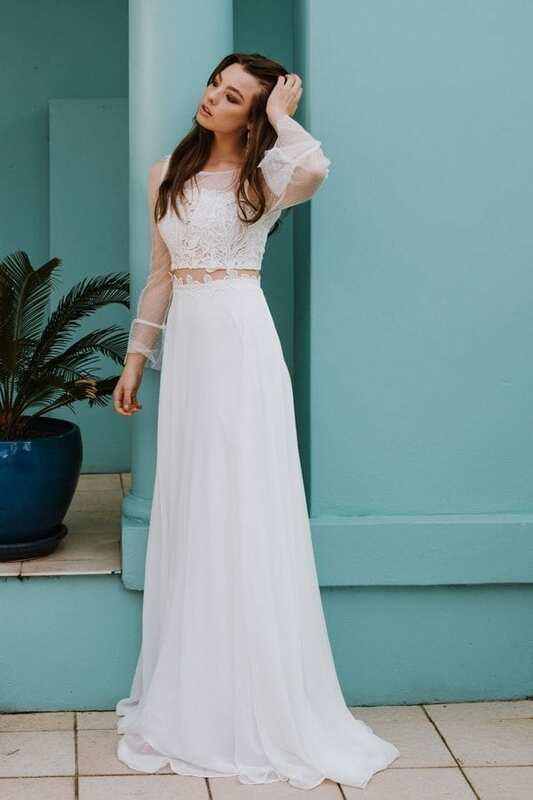 A romantic two-piece for the bride looking for an ethereal silhouette with a modern edge. Dainty flecked lace features in a wide scooped neck and translucent three-quarter length sleeves. With a bell-shaped flare that falls just above the wrist, the striking sleeve detail hints at another era while contrasting with the modern crop-top style of the bodice. Appliqué leaf Venetian petals and delicate hand stitching feature around the bust to create a lace bandeau look, while cups and light corseting provide support underneath. With a clasp at the nape of the neck, this crop-top falls into a dramatic slit to expose the back. 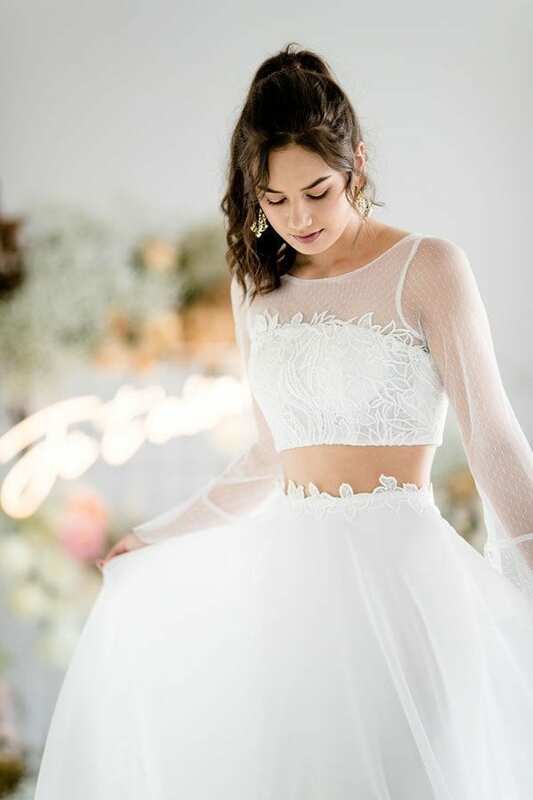 Hand-cut lace flowers edge above the waistline to create a striking belt-like design to the top of the skirt. Intricate button detail closes the back, while a layer of jersey lining falls in a slinky column shape to flatter the figure. Delicate chiffon flows overtop and down into classic A-line bias before dropping into an elegant small train to finish.